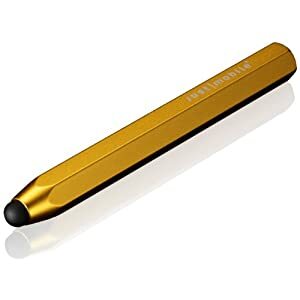 If you have an iPad, and (like me) you’d like to be able to take handwritten notes on it, there is finally a decent stylus that does the job: the AluPen. It’s chunky and a little weird, with a round rubber tip that looks like half of a tiny racquetball, but it works great (unlike every other iPad stylus I have tried). Wired has a nice review. I bought mine on Amazon; it’s available in a wide range of colors, but I like the gold for its retro pencil look. I am using it in combination with NoteTaker HD, an app by Dan Bricklin of VisiCalc fame, though other note taking apps with a magnified writing area would be fine. Can you use it to write on your PDF slides when they are projected? I remember you doing that with a PC tablet years ago in your Parallel Programming course and it worked really well. Then you would put the PDF slides with writing on the web and it was a great record of what happened in class. 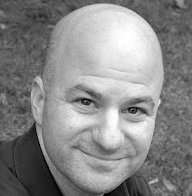 Hi Steve – haven’t tried it yet but I bought the adapter and plan to try it out. That said, I tend to rely on a lot of animation / pictures for teaching these days, plus the whiteboard, so using it in courses doesn’t mesh well anymore.